Come see it made! 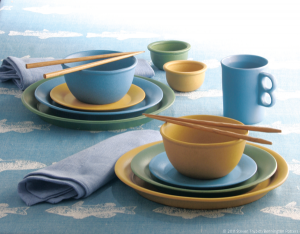 Since 1948 Bennington Potters has been producing handcrafted dinnerware, bakeware and accessories that deliver dining and cooking pleasure for generations. 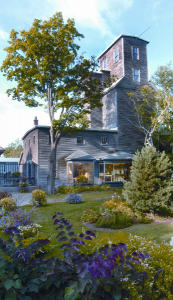 Our home style store spans 5400 square feet in two historic buildings—the Grist Mill built on the site in 1922 to serve the surrounding farms and the School House (a true one roomer moved to the site in 1963). 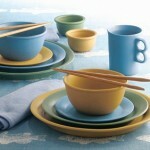 Explore our full line of pottery along with furniture, linens, glassware, wall art, candles, and much more! 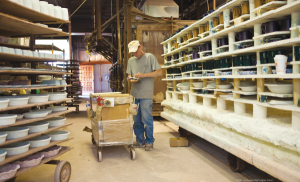 The factory is located on site, where the Potters are busy jiggering, jollying, pressing, casting, dipping, slushing, chumming and firing. 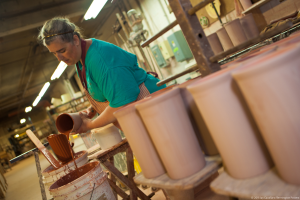 We offer free tours daily where you get a behind-the-scenes look at the pottery being made—from our hands to yours. Come experience a Vermont tradition! We welcome you to our home style store where you are invited to play house. Our pottery is showcased throughout two historic buildings spanning 5400 square feet, along with an extensive offering of home furnishings, linens, glassware, decorative accessories and more! You’ll find encouragement for your creativity from friendly and knowledgeable staff. Shipping available. Enjoy a free factory tour during your visit. Come see it made! Groups always welcome. Free tours & parking. Reservations requested for group tours.